When it was decided to do a write-up on the LPU London Meet-Up for this years meet, I thought I would do a little research to provide a little history; mainly because I was interested to find out how long these meet-ups have been happening. In my head I imagined they had been happening for around three years. Well, I was very surprised to find out how wrong I was after speaking to a friend of mine, Amit Valand. 2003: 20 LPU members met for drinks. 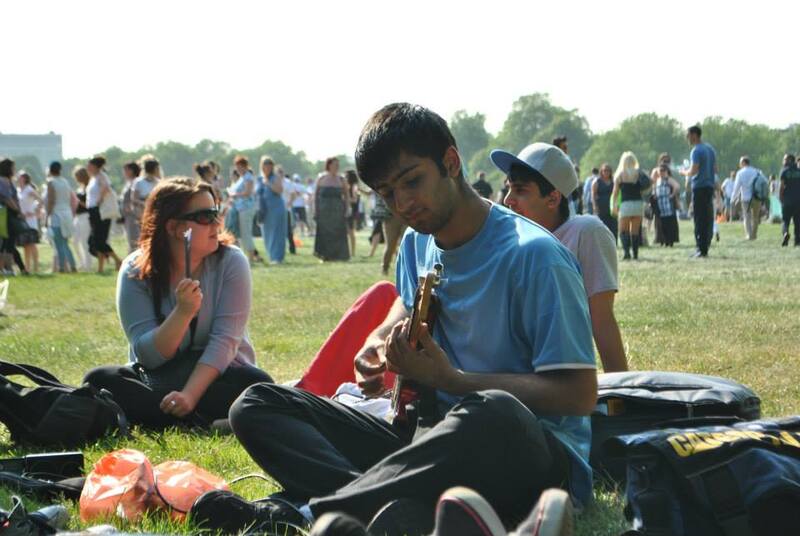 2005: Hyde Park barbecue and chill out. 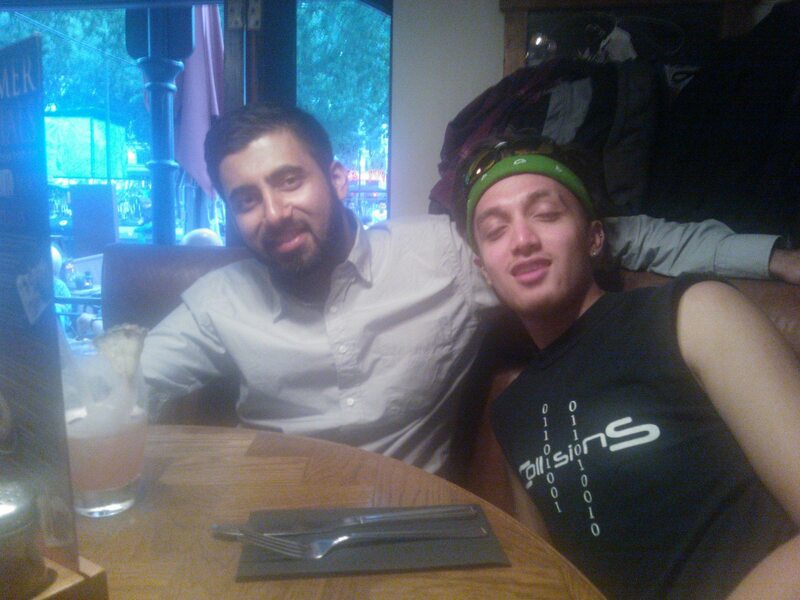 2009: Drinks and dinner at Nando’s. 2010: ATS pre-show drinks and dinner at all UK shows. For the last three years (2011, 2012 and the most recent 2013) there have have been LPU London Meet-Ups that were arranged by Harris Saed. The typical meeting place has been at Hyde Park. This year, July 5th, was the first year that I attended, along with fellow Linkin Park Fan Corner staff member and amazing girlfriend, Lizzi Cloverman. Below I will give a brief overview of the day as it unfolded. 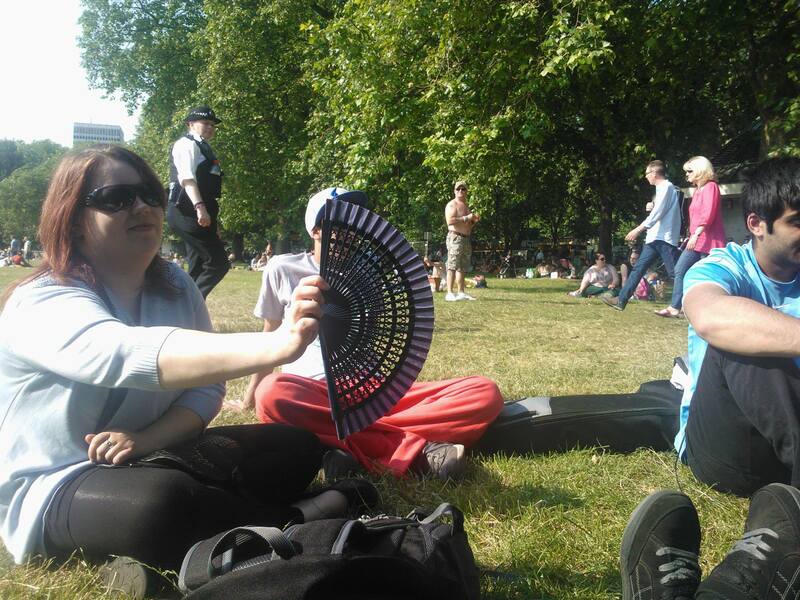 We all met at Hyde Park at approximately 1pm. Introductions were done and we sat in the sun talking and getting to know each other. There was a music festival happening at the same time as the meet that was being headlined by Bon Jovi, so there was a lot of their fans lingering! Unfortunately, due to high metal fences, we were unable to see anything! But that was fine, it’s not what we were there for! After a while we decided to break out and get food for lunch. Not everyone was hungry at the same time so people went at different times. 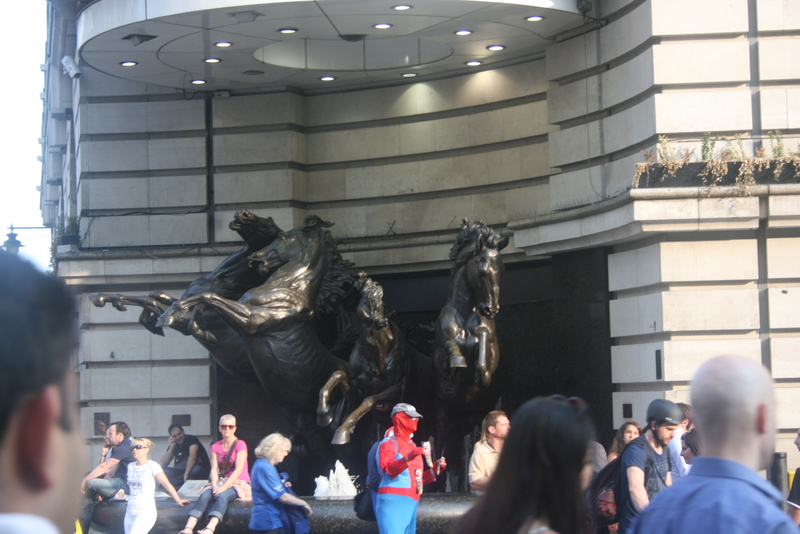 Once everyone was back at Hyde Park it was decided that we would go to Leicester Square. Some people took public transport, others walked. Being one of those that walked I can assure you that in that heat, it was a bad idea! A lesson learned for next time! Once we, the “walkers”, arrived at Leicester Square we were relieved to be able to sit down under a large tree in the shade! It was a long and tiring walk! Others, who had arrived by public transport were in the Chiquito’s bar/restaurant, located on one side of the square, and were waiting for a table to become available for us all to sit at. 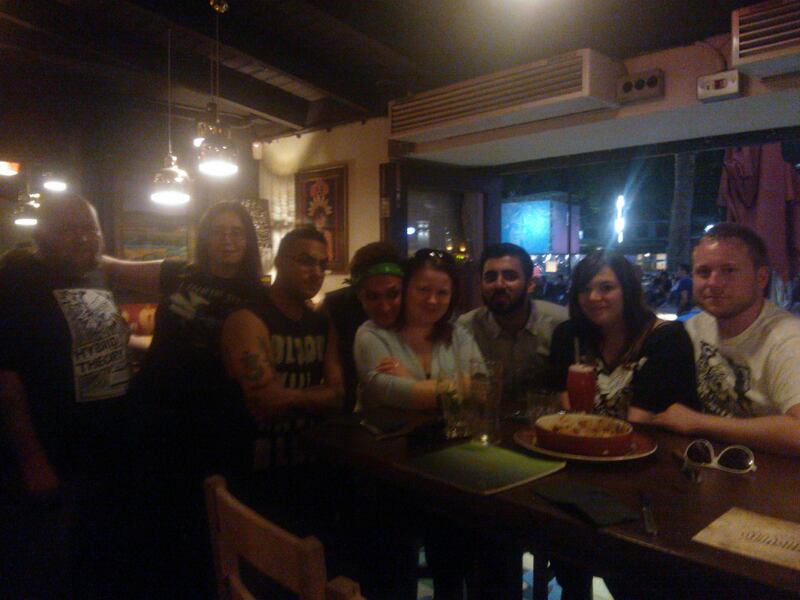 During the time we were in Chiquito’s, eating food, having a couple of drinks and sharing laughs, we were joined by Amit and one of his friends. Chiquito’s was our final destination. This was where a great day came to an end. I have to say though, and I’m sure I speak on behalf of others that attended, it was great to finally meet people face-to-face that I had only ever spoken to online. Be it on the LPU, Twitter or Facebook. 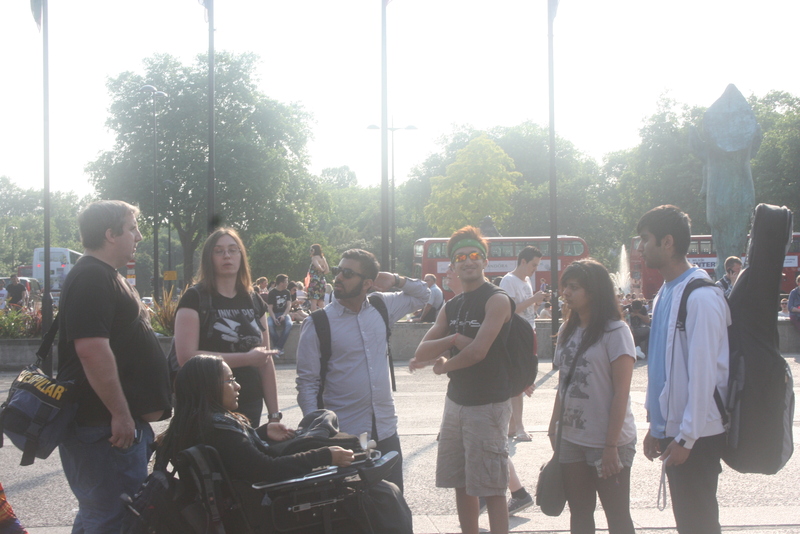 And, I look forward to the next LPU London Meet-up, which I can only assume will be in July of next summer! Now, as you may recall, the meeting time was at 1pm. Lizzi and I took that into account and decided to get in to London at 9am. The purpose of this was so that we could spend some time doing a little sight seeing. We took the tube to Camden Town and had a look round Camden Market and Camden Lock Village. We loved that place! 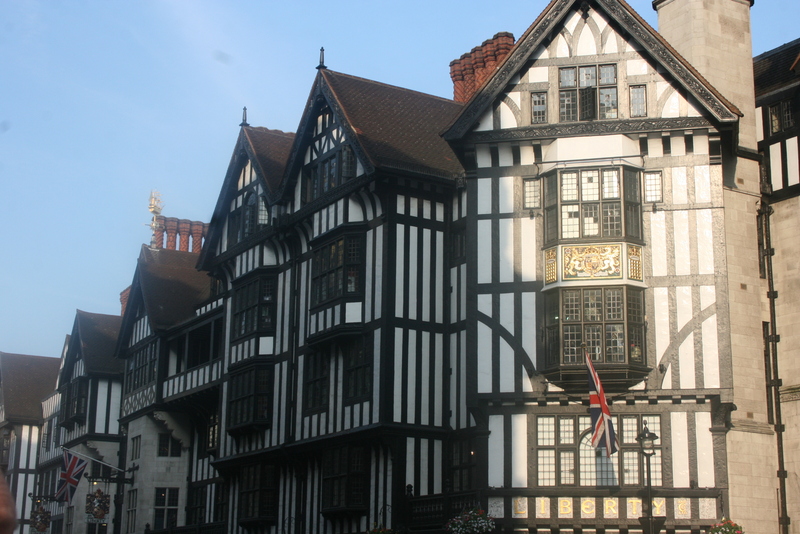 The reason I am saying this is that if you live outside of London and don’t often get the chance to visit London, make a day of it! Get here early, go see some sites, then attend the meet up! 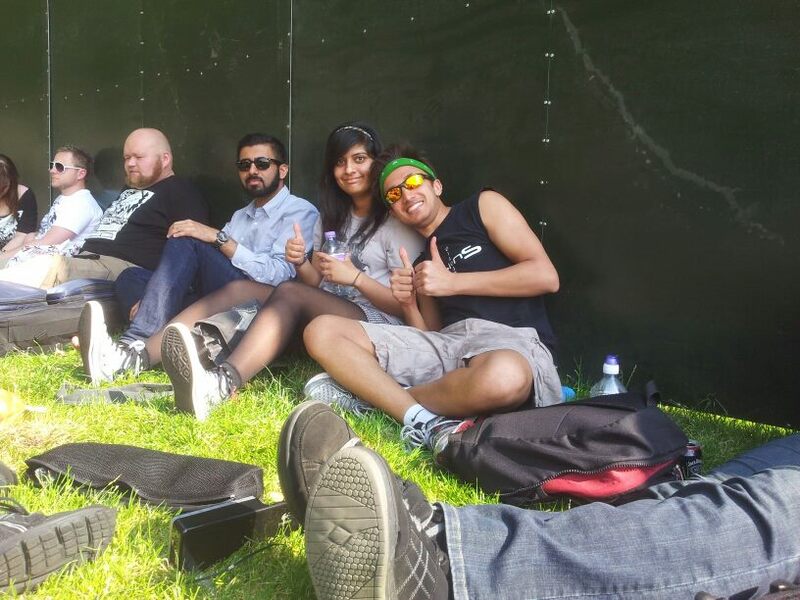 This entry was posted in Blog, Fan Reviews, Fan Stories, LP Underground, LPU Meet Ups and tag Hyde Park, Leicester Square, linkin park, London, lp underground, lpu, meet, meet-up.